But the statement did not threaten new sanctions against Pyongyang. North Korea has been working on its missile programme for decades, with weapons based on the Soviet-developed Scud. It has conducted short- and medium-range tests on many occasions, sometimes to mark domestic events or at times of regional tension. In recent months the pace of testing has increased; experts say North Korea appears to be making significant advances towards its goal of building a reliable long-range nuclear-capable weapon. 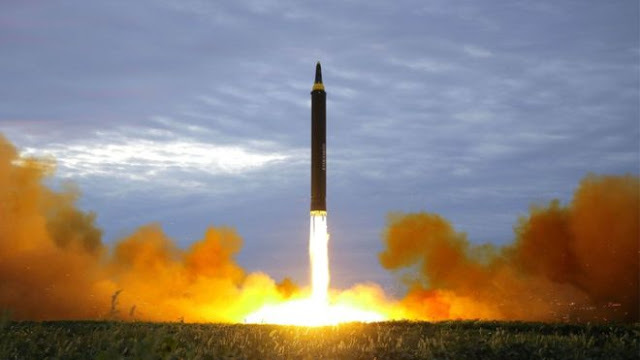 In July, North Korea launched two missiles which it said were Inter-Continental Ballistic Missiles (ICBMs) capable of hitting the US; experts believe they put parts of the US in range. There is no consensus on how close North Korea is to miniaturising a nuclear warhead to put on a missile. 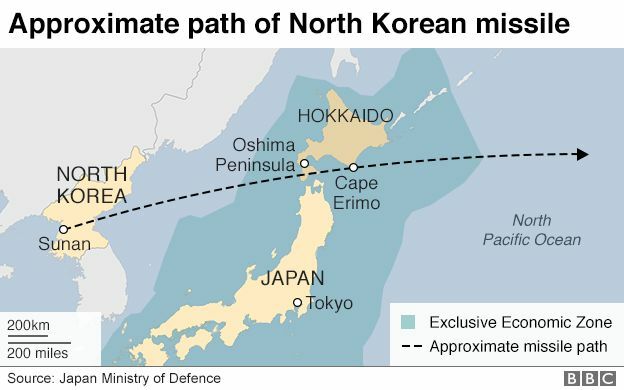 0 Response to "North Korea: 'Japan missile was first step in Pacific operation'"